After refusing to sign a contract to wear Team USA gear at all team functions at the World Championships, U.S. 800m Champion Nick Symmonds was officially taken off the team roster by USATF. Tomorrow I will present proof that @USATF is stealing millions of dollars from the athletes, getting rich off the hard work of #TeamUSA. The dispute originated when the World Championship silver medalist refused to sign a written contract that USATF required in order to be a member of the U.S. team headed to Beijing in August. 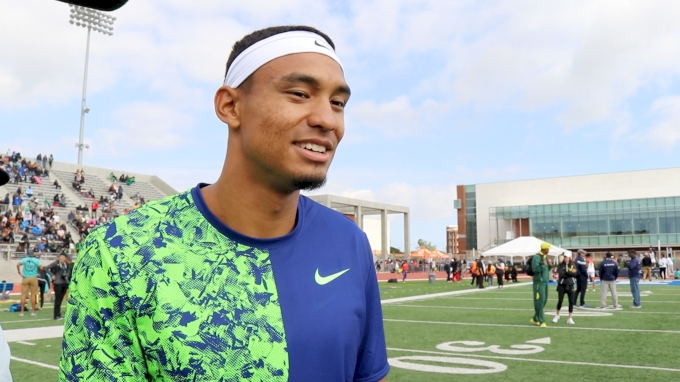 The contract informed Symmonds that he had to wear Nike gear during all team functions throughout the trip to the World Championships, a requirement that Symmonds refused to sign on as the contract did not define what constitutes a team function. Symmonds felt that the contract was in violation with his own contract with Brooks Running. USATF told Symmonds that he had until noon on Sunday to sign the contract and if he did not, he would be left off of the team. 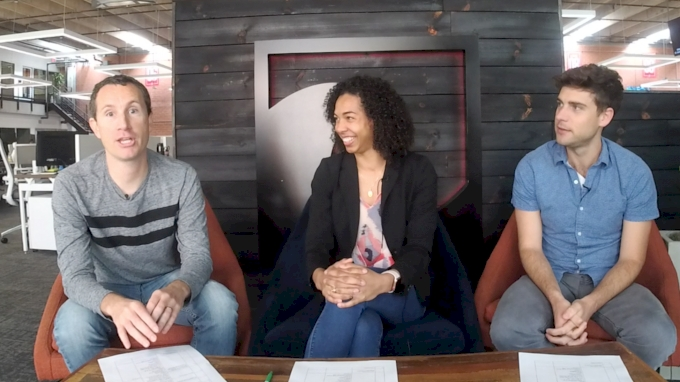 “I want this contract to protect their [USATF] rights as much as our rights, I’m a business man who believes that you put everything in writing, you have a contract and everybody knows what they’re responsible for,” Symmonds said after competing at the FloTrack Throwdown on Saturday night. “I think we can all agree that the way the statement of conditions is written right now is just a real dog turd. I don’t even think it can be legally binding because they failed to define all the terms in it so let’s define the terms, make it something that the athletes can be proud of and know what they’re responsible for, but let’s make sure that USATF gets in return what they’re obligated to give to Nike,” Symmonds said. Symmonds did not sign the contract by the Sunday deadline and was informed that USATF has chosen to leave him off of Team USA. The two-time Olympian believes that the contract is in violation with his own contract with Brooks Running, which he signed in January of 2014 after leaving Nike. 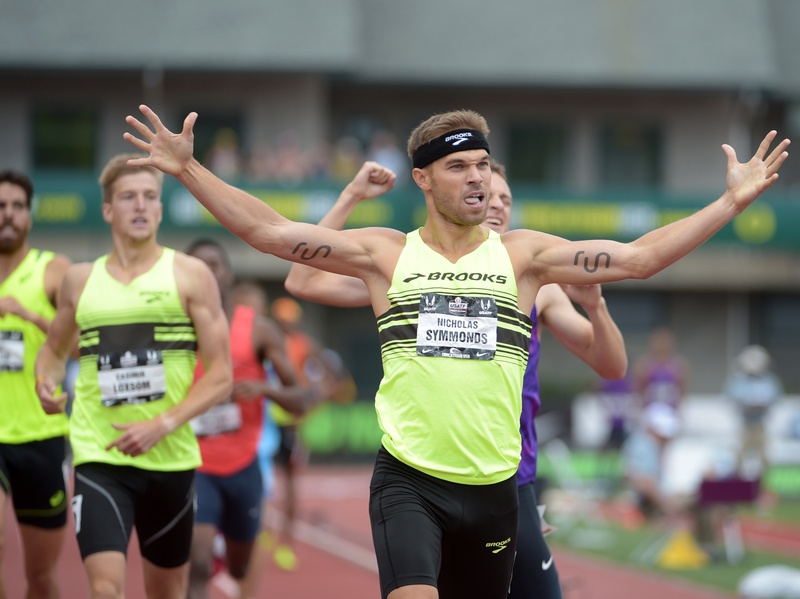 Symmonds earned his qualification to represent Team USA after winning his sixth 800m national title in June at the USATF Outdoor Championships. Akron's Clayton Murphy, who placed fourth at the championships, is next in line for the men's 800m. 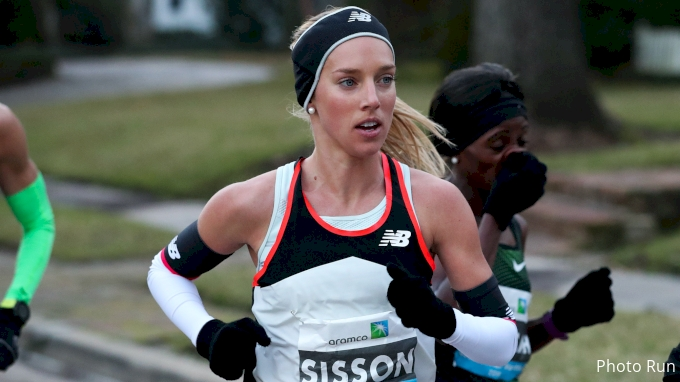 The official team roster has been released by USATF. After informing Nick Symmonds that he would not be allowed to represent Team USA at the World Championships, USATF released an official statement on the sponsorship dispute with the two-time Olympian. “We respect Nick’s decision not to represent the United States at the IAAF World Championships,” Chief Public Affairs Officer Jill Greer wrote in a USATF statement. Greer continues to explain the specifications of the contract, including particular functions where athletes must wear Team USA gear. “The Statement of Conditions is part of USATF’s governance documents, and its requirements are common in professional, Olympic and National Team sports, both domestically and internationally. It has been in place for years, and athletes and agents are familiar with the provisions of the document, which include requirements pertaining to athlete conduct as goodwill ambassadors for the United States, proper handling of the American flag, wearing the designated Team uniform at official Team functions, attendance at official Team practices, meetings and other events, commitment to train and report fit to compete, and following doping rules,” Greer wrote. Full statement can be found on USATF.org. Symmonds posted a blog on Huffington Post stating he didn't sign the statement of release required by USATF. You can find the blog here. Symmonds’ blog recounts his attempts to negotiate with USATF on drafting a new contract for athletes to sign. “One [contract] that protects their [USATF] obligations as well as athletes’ rights, but USATF chose instead to ignore my offers and leave me at home,” Symmonds wrote in the post. Symmonds also cites a report conducted by sports economist and professor at Smith College Andrew Zimbalist who analyzed USATF’s finances and elite athlete compensation. His report showed that USATF’s expected 2015 gross revenue would be $42.92 million and only eight percent of all revenue is expected to be paid to athletes. “In other professional sports athletes roughly earn between 25 and 35 percent of revenues in individual sports and between 45 and 55 percent of revenues in team sports (other than MLS). In addition, in team sports where group licensing contracts are managed jointly by the league and the players’ association, the general pattern is for the revenues to be split 50/50 between the league and the players’ association,” Zimbalist reported. Zimbalist continued to examine the estimates of compensation for elite track and field athletes in 2015 by USATF. “In the USATF, the elite athletes are receiving $3.46 million divided by $42.92 million or 8.06 percent of all revenue. This revenue share is intended only as an approximate estimate. If the elite athletes received the lower end of the compensation as a share of sport revenue for other professional athletes, i.e., 25 percent, they would receive $10.73 million in 2015. That is, they would receive $7.27 million more in 2015, or more than three times as much compensation as they currently receive,” Zimbalist wrote. The report also includes an “accounting inconsistency” that shows at least $3.52 million of USATF's funds are missing. “It is also noteworthy that the proposed budget for 2015 is $7.7 million above the budget for 2014, which further indicates the anticipation of continued strong growth in revenues. Finally, there is an accounting inconsistency which warrants further investigation. Siegel's Snapshot report states that 2014 revenues were $35.22 million and that 2014 expenditures were $19 million. This suggests that the USATF's net assets should have grown by at least the difference ($35.22 million - $19 million) or by $16.22 million. Even this sum assumes that there was no growth in the USATF's investments in a year when the stock market rose appreciably. So, $16.22 million should have been an absolute lower end of the growth in net assets during 2014. However, the same report indicates that the federation's net assets grew by only $12.7 million; hence, there appears to be at least $3.52 million of missing funds,” Zimbalist reported. 1. Work with USATF to rewrite the “Statement of Conditions” so that is better protects the rights of all parties involved. 2. Demand that USATF increase revenue sharing with athletes to at least 50 percent of gross revenue. 3. Get some answers as to where that missing $3.52 million went.